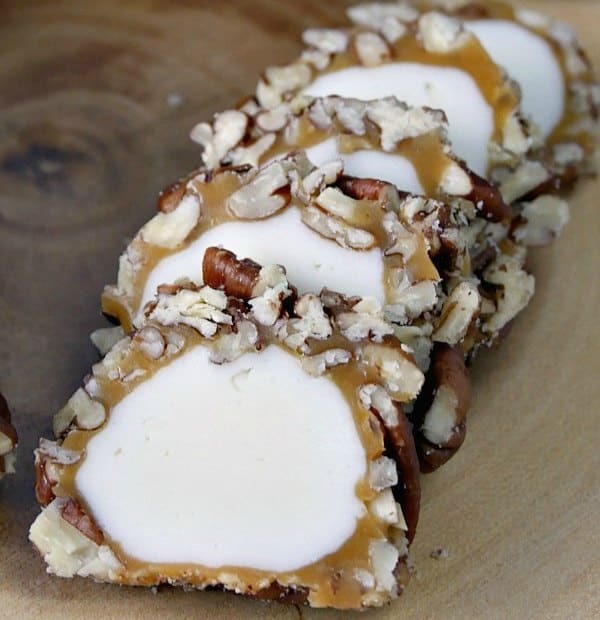 This pecan log recipe makes a fabulous Christmas candy gift perfect for friends, neighbors, teachers – or anyone on your Christmas list. One of my absolute favorite things about the the holidays is the FOOD! I usually have a holiday cooking list about a mile log and get to about 3 recipes. I'm not really much of a baker so after satisfying the kids with some sugar cookie decorating, I move on to something fun like candy. I love fudge, but this year I wanted to try something different and a pecan log recipe seemed to be just the thing. 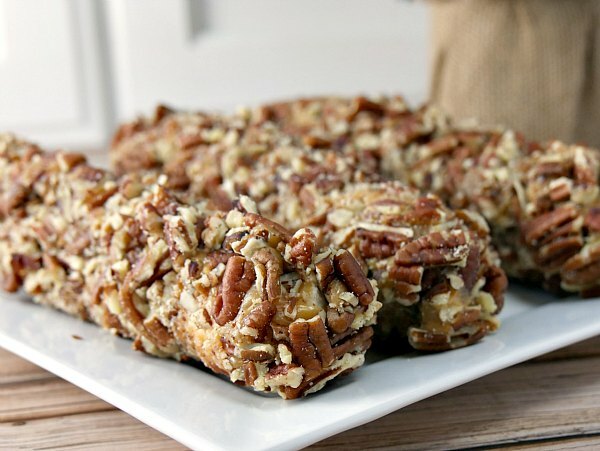 A read a few different pecan log recipes and they seemed pretty easy to make. There are a few steps involved so plan ahead, but other than that, a pecan log is easy to make. Start by making a marshmallow creme and powdered sugar based nougat center. Super easy to make! Divide the nougat dough in to 6 sections and roll in to logs. I made the logs about 5 inches long and 1 inch thick. I wouldn't go too much thinner. Wrap the logs up and freeze them. Mine were in the freezer for a few hours, but they would be fine overnight. When the logs are frozen, dip them in a caramel sauce and then roll in a nut and salt mixture. I chose pecans because I love them, but peanuts would work, too. The caramel starts to cool and harden the minute you remove it from the warm pan so move quickly. I had just enough caramel to cover 6 logs. Refrigerate the pecan logs until ready to eat or give away. While I love making candy, I really don't need to eat it all. 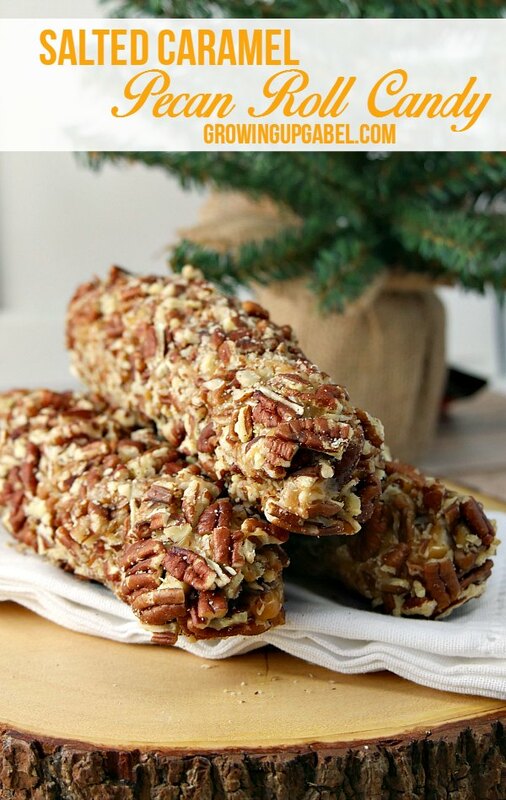 Pecan logs make great gifts! Thanks to Hefty Slider Bags, they are also easy to package up in a festive bag. 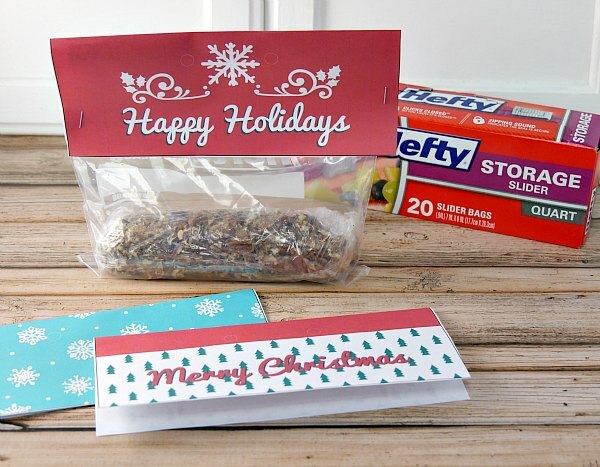 Hefty has some cute holiday bag toppers that fit their slider bags perfectly so you can package up any treats to give away this holiday season. I just used a few staples, but there are holes to punch out to tie up pretty ribbon bows. 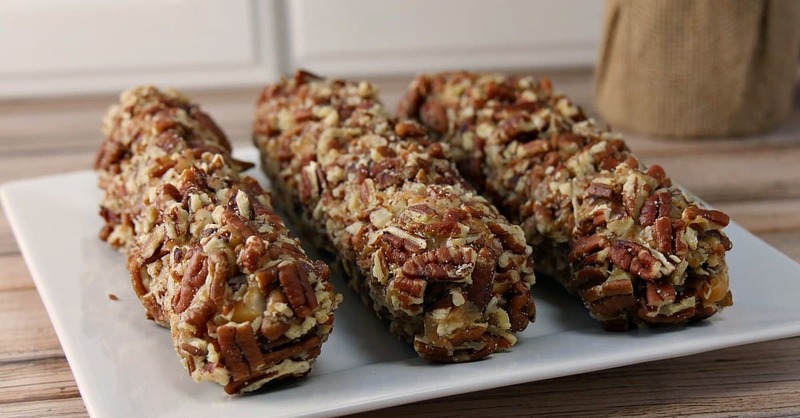 Keep the pecan logs in the fridge until ready to be given away. Melt together the butter and marshmallow fluff in a large pot over medium heat. Stir often so it doesn't burn. Once the butter and marshmallow are well combined, remove pot from heat. Use a wooden spoon to stir in 4 1/2 cups of powdered sugar. Work the sugar completely in to the marshmallow mixture. 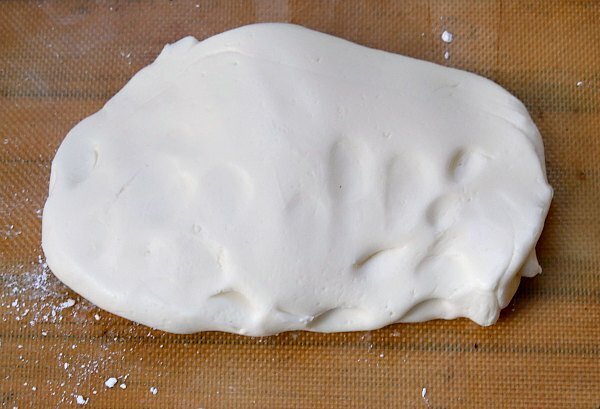 It will form a smooth, white dough. Remove the marshmallow mixture to a powdered sugar dusted counter top. Knead in up to 1/2 cup more sugar until the dough has a matte finish. Divide the dough in to 6 equal pieces. 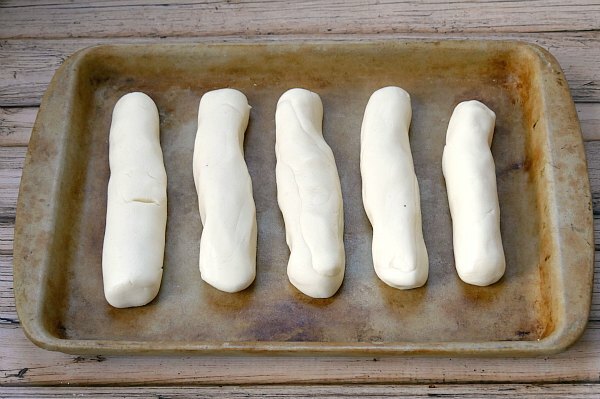 Roll the dough in to logs roughly 5 inches long and 1 inch thick. Wrap each log individually in plastic wrap. Freeze until solid. Prepare the caramel mixture. Melt the caramels, butter and half and half over medium low heat in a medium sized pot stirring often, until caramels are melted and mixture is combined. Turn heat to low and keep caramel mix warm. Spread pecans out on a piece of waxed paper on a counter near the stove and caramel. Sprinkle the salt over the pecans. Unwrap each marshmallow log, one by one. Use tongs to dip the log in the caramel. A spatula will help get the logs coated in the caramel. Allow the caramel to drip off the log briefly and then place the log in the pecan mixture. Draw up the sides of the waxed paper to roll the log around in the pecans to cover the log. Use your hands to press the pecans in to the caramel as it cools. Don't forget to get the ends! Place the pecan covered logs on a cookie sheet. Repeat for each log. Chill the logs in the fridge for 1 hour. Re-wrap each log in plastic wrap and store in the fridge until ready to serve. To eat, slice the logs and serve. This recipe is great. My grandchildren like to make with me. Nuts and caramel and marshmallow everywhere but much laughter! And it all gets eaten! I am a huge fan of homemade gifts that I can make ahead of time; do you think the nougat could be made a few weeks early and stored in the freezer? Also, do you have an idea of how long the finished product stays fresh in the refrigerator? Yes I think you can freeze them, but I haven’t done it. I’m not sure how long they’d last. Make sure they are in an air tight container though. I make these every Christmas, and have frozen them for months. Just let them thaw enough to slice, and they’re as good as freshly made. Thanks for the info, Pam! Very helpful. Hi Camille I just wanted to thank you for sharing this recipe. I lost my Momma in June of this year and when ever we would be out and about we always stopped by a local store to get one of these for the way home to snack on. I was telling my Brothers about this the other day and I am going to try and make it for them for Christmas. This year is going to be a rough one for us all but we have lots of wonderful memories to get us through it. Like munching on this candy going down the road singing at the top of our lungs. LOL Thank you. I’m so sorry for your loss, Julie! I hope this recipe brings you a little bit of comfort this Christmas season and reminds you of the all the great years you had with your Momma. Big hugs! Thank you Camille, I hope you have a wonderful Christmas and that the New Year brings you everything that you want. I will be using this recipe to start a new tradition in my family. Thank you so much. Hey, Camille! Just wanted to let you know that we loved your Salted Caramel Pecan Log Recipe so much when you shared it at the #HomeMattersParty last week, we’ve FEATURED it THIS WEEK! Hope you can check it out when you get a sec. Happy Friday!!! That looks amazing! 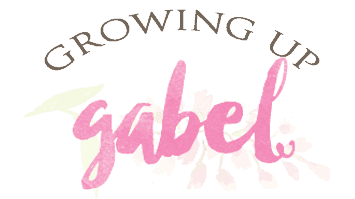 Thanks for sharing it with us at Funtastic Friday Blog Hop! Stop by again soon! Oh yum! This looks delicious. Thank you for linking up to last weeks Creative K Kids’ Tasty Tuesday! 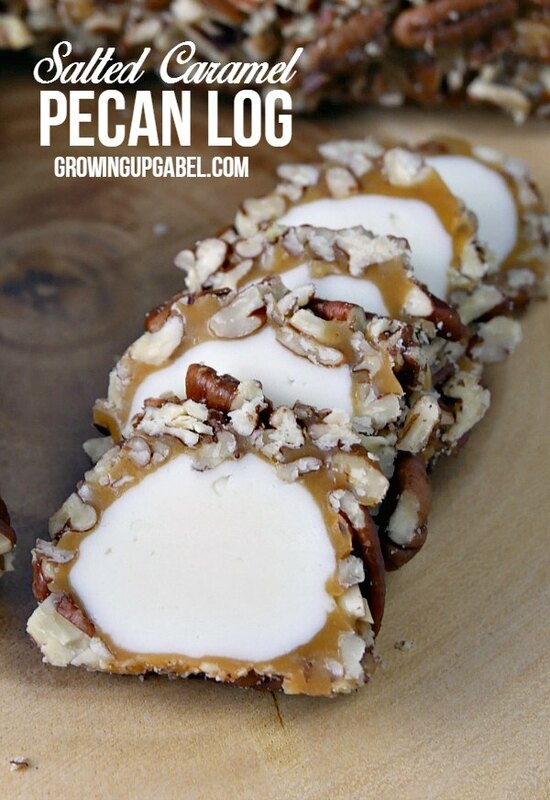 I just love Salted Caramel and combined with a Pecan Log looks fabulous! I really appreciate you sharing with Full Plate Thursday and have a great week. This sounds delicious. It would be a welcome change in my home from Christmas cookies. Besides I love pecans. Thanks for sharing on Sunday’s Best Linkup. I’ll be Pinning this recipe. Yesssss!! This is my dad’s all-time favorite Christmas treat. I’ve never found a recipe, but I will for sure be trying this one out this year. 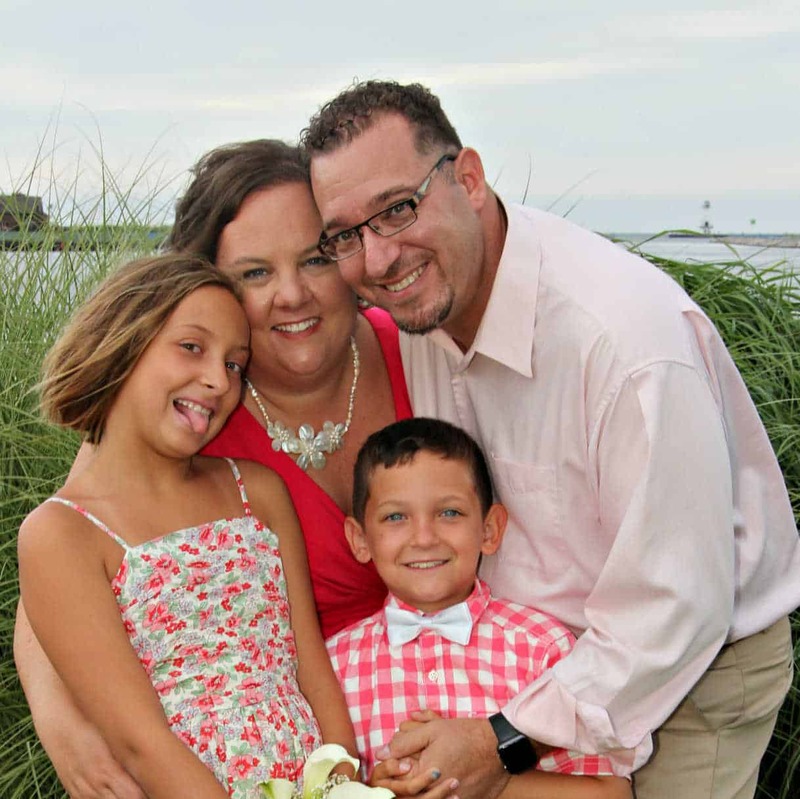 Thanks for linking up with us at the Share the Wealth Sunday link up!! Yummy looking candy~ Thanks for sharing on the What’s for Dinner link up! These sound so good! I love pecan and caramel!! Do you think they would freeze well? Definitely pinning this recipe!! Hi Jennifer! I think so? I’ve never frozen caramel or marshmallow before, but I don’t see why not. This looks so good! I\’ve featured it in a collection of cozy, rustic Christmas ideas for today\’s link party. Be sure to stop by and see! Looks amazing. I’ve never made one. But, pinned to try it & shared. Thanks for joining the Inspiration Spotlight party. You have to try making the fluff! It’s so much fun! It has been so long since I tasted a good pecan log, we used to have a small town candy store where they made them and so good. Yours looks delicious. Someone gave me a homemade pecan roll 20 years ago and I thought it was so good. I have always wanted to make this so now I will try. Thanks! Yay! Glad to help bring back some memories! Wow, these logs look great. What nice gifts they will make. My Dad loved these logs. Wish I knew then how to have made them. This looks amazing! We\’d love to have you share this at our weekly link party. Hope to see you there! These look yummy! I haven’t had a pecan log in years, I guess since I was a kid. We use to stop at Stucky’s road stop on the way to my grandmother’s every year and my parents would buy one and we would eat it on the way. Thanks for sharing your recipe, it sounds really good. Pinning! These sound so delicious! Thanks for sharing! Love Pecan Logs! Pinning to share. Thanks for linking up with us each week for Snickerdoodle Sunday! I might just have to try these, they look so good! Thank you for sharing!! Exactly! I gave them away immediately. My kids teachers are either going to hate me or love me this season! Wow. These look truly amazing. I am going to pin these right now.